East Ledang is one of several new gated and guarded housing communities in Nusajaya, part of Malaysia’s Iskandar economic zone. These new housing estates are clustered near the 2nd link to Singapore to the west of Johor Bahru city. Other housing estates in the area, that are popular with expats are: Bukit Indah, Horizon Hills and Ledang Heights. People report being able to commute to Singapore CBD in 45 minutes from East Ledang. That surprises me a bit but it is very close to the 2nd Link (under 10 minutes away). East Ledang is also one of the few zones in Malaysia to be linked up with FTTH (Fibre to The Home) Fast Speed Internet access. Prices of homes in East Ledang range from about RM 700,000 to well over RM 1,750,000. Prices have been rising fairly rapidly the last year or two. Both in terms of existing home prices and new construction by the developers. Rent from RM 4,000/m to over RM 10,000/mo. 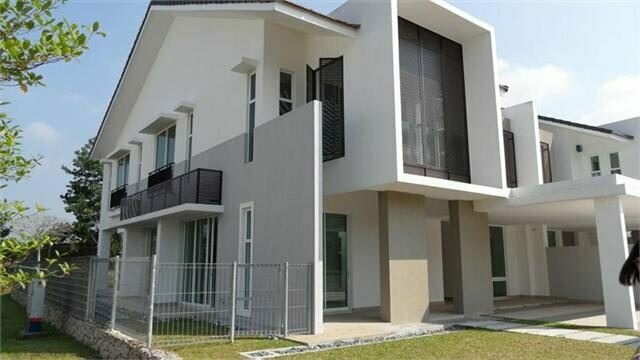 RM 4,000 – RM 6,000/month will get 2,500 square feet semi-detached/link houses (townhouses). 3,500 square feet might be RM 5,000 – RM 8,000 a month.